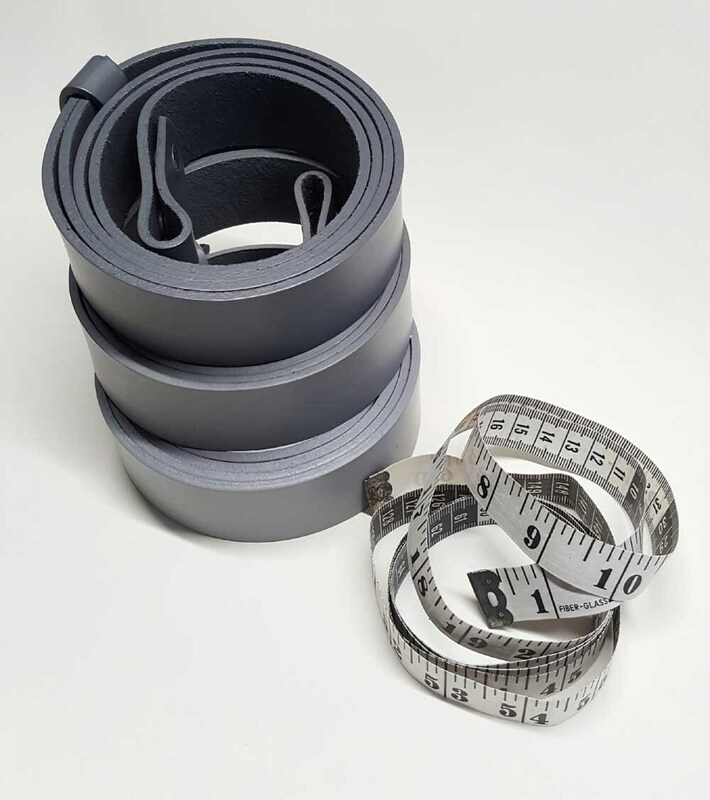 Width of Belt Inches Fits Suits 1-1/4" Fits Jeans 1-1/2"
(Top)dark grey, (Middle) medium grey or (Bottom)light grey belt 1-1/4" & 1-1/2" hand dyed grey leather belts interchangeable custom cut for suits or jeans. Interchangeable leather belt with snaps. 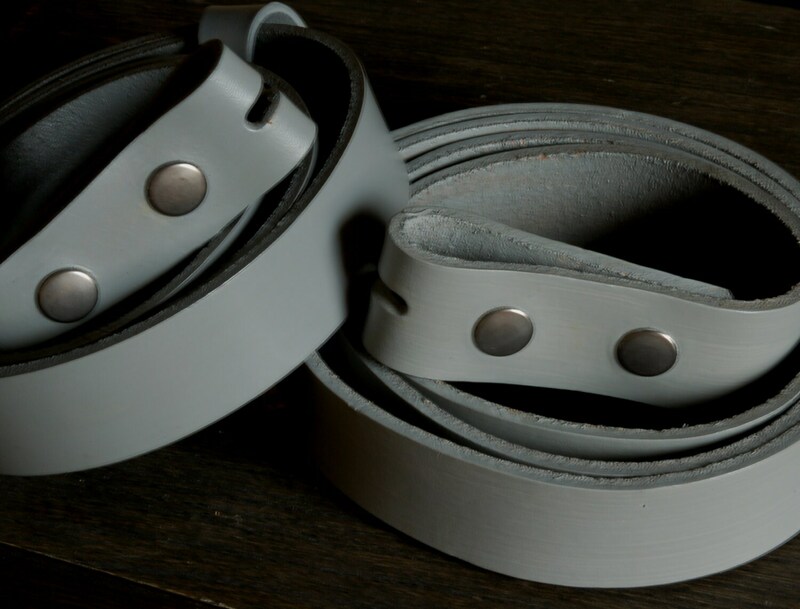 Photo: (Top)dark grey, (Middle) medium grey or (Bottom)light grey belt. 1-1/4" hand dyed leather belts for suits or 1-1/2" wide for jeans. Custom cut to your waist size. 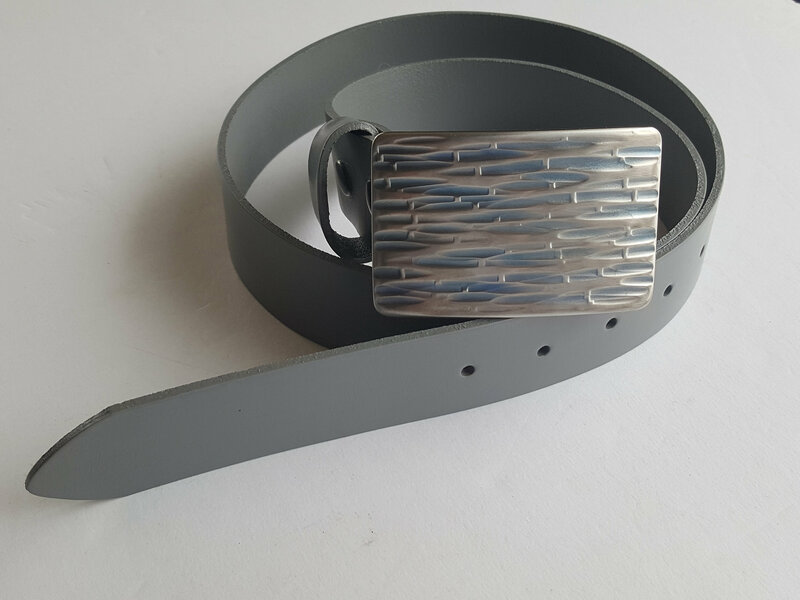 Canadian leather belts 1.25" & 1.5" wide for men, ladies & kids belts will be custom cut to your waist size. Custom cut to fit your waist. All we require is your waist measurement. 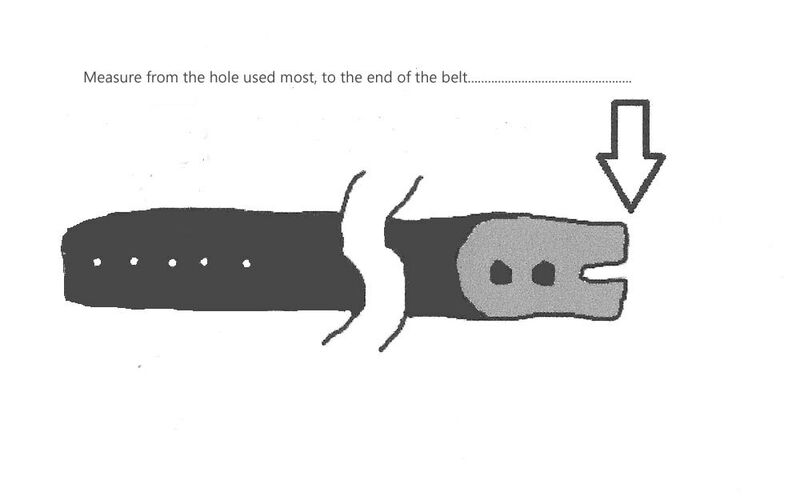 If you prefer, you can also measure your existing belt, please use the "how to" sketch. 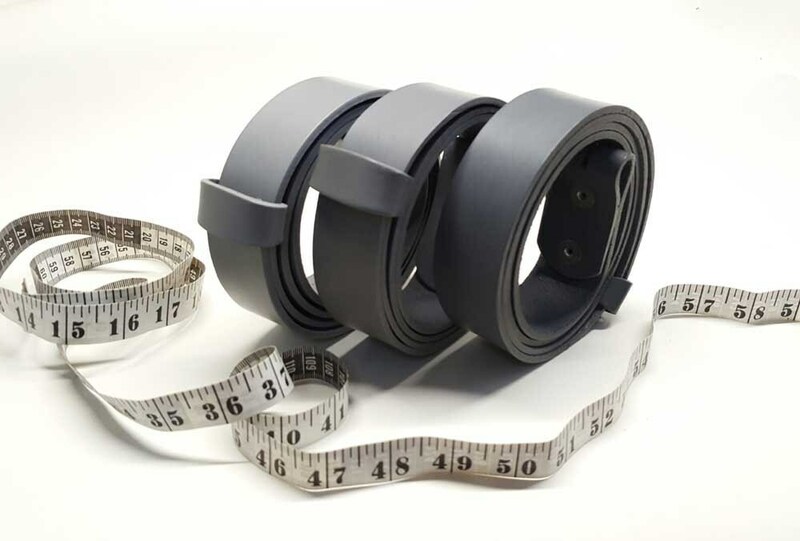 Please let us know which method of measurement you are sending us, waist or existing belt measurement. Please mention what width of belt you require. 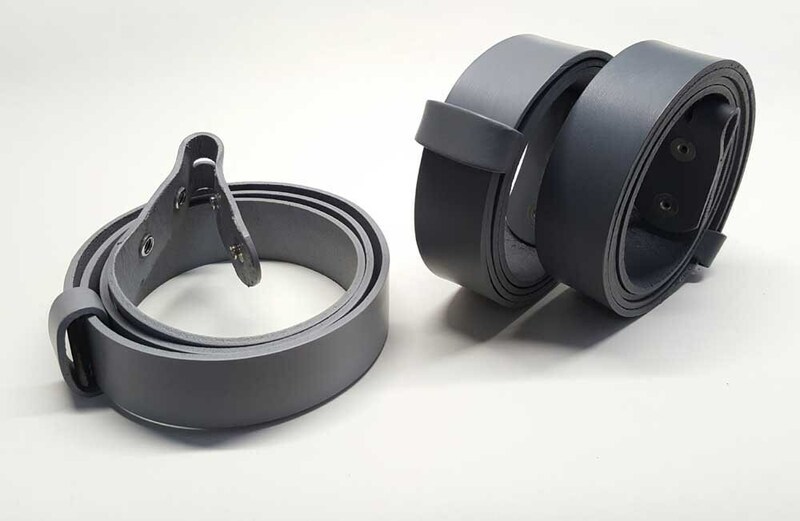 Belt has four quality snaps making exchanging buckles extremely easy. 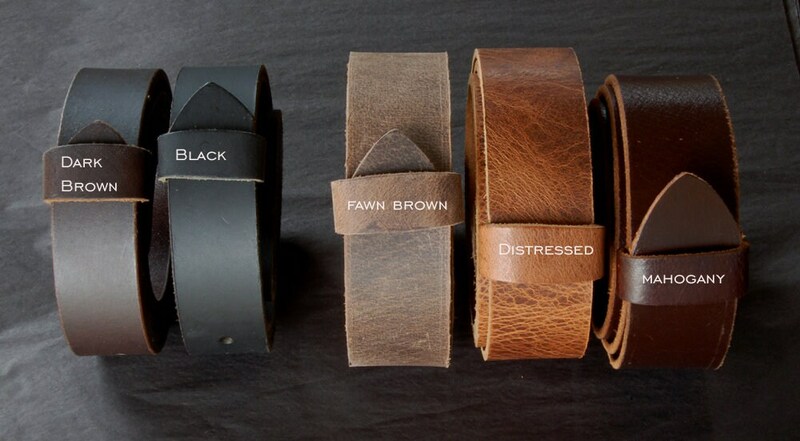 Full grain buffalo leather belts also shown ($35each). 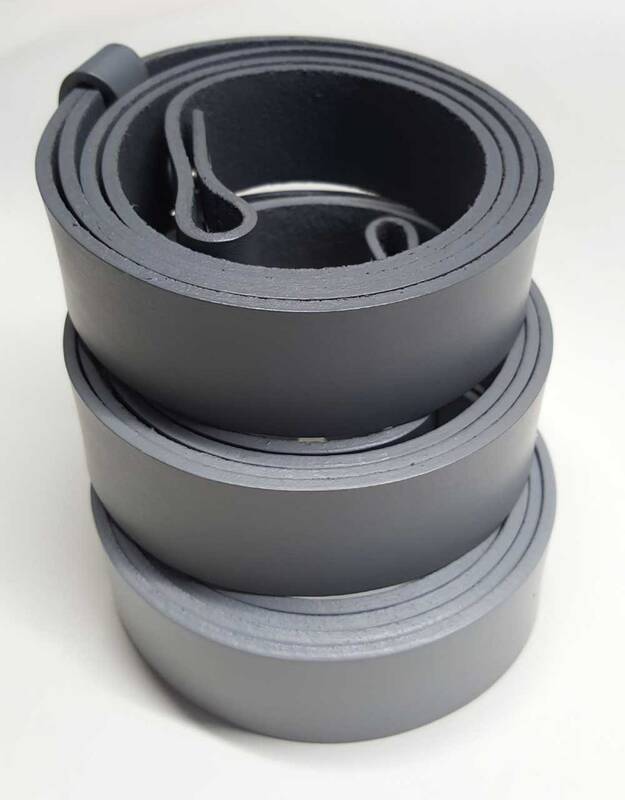 Belts available in 1-1/4" and 1-1/2" widths. Please email for an exact shipping quote prior to making your purchase. Item was perfect and exactly as expected. Shipping was quick (less than a week from Canada to South Texas). Everyone worked well with me to make sure the belt was exactly as I was expecting. This item shipped very fast and looks exactly as it's shown in the photos. Very nice quality leather and craftsmanship. 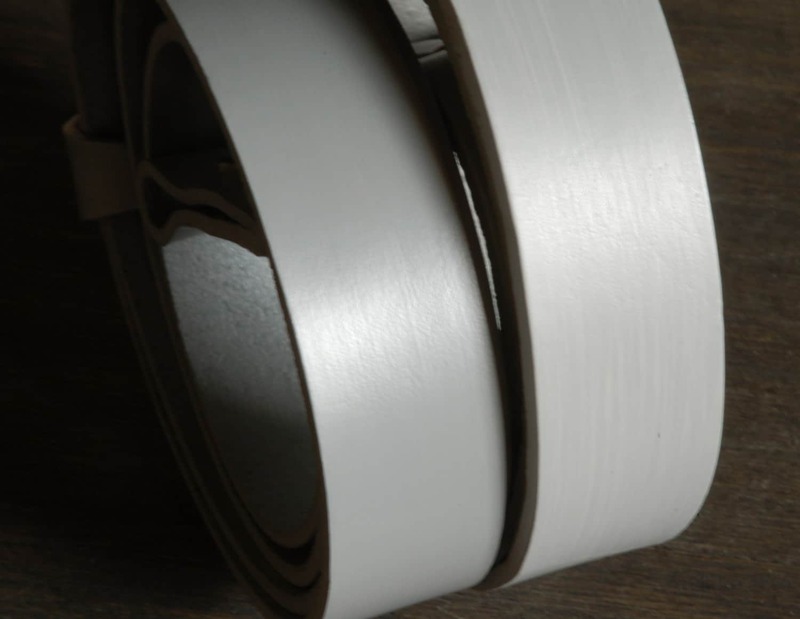 I'm happy to have the exact shade of grey leather belt I've been looking for! 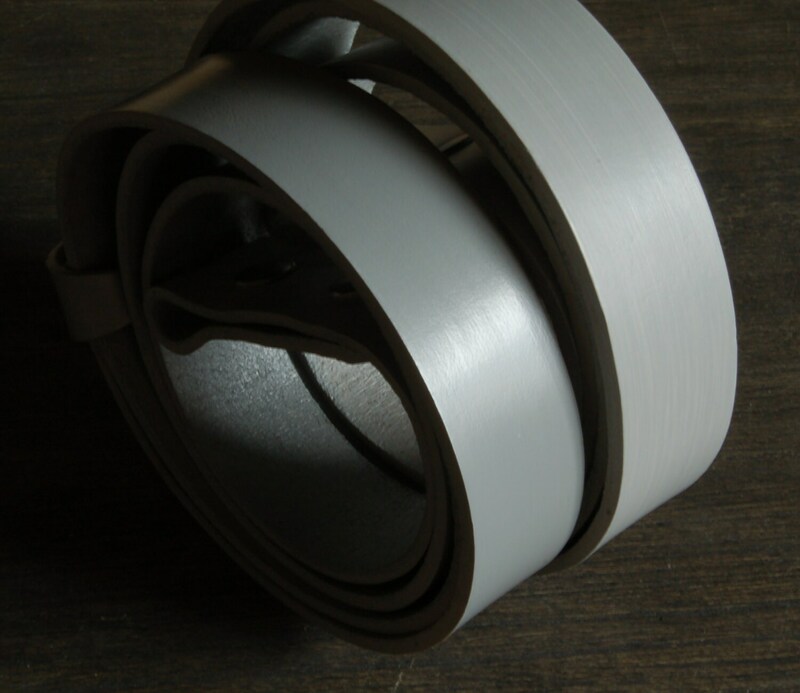 The color of the belt is really amazing and good customer service as well.